Don’t just add a sentiment on the inside of your cards, the inside can be just as much fun as the outside! Like with this beautiful summer window card from Echo Park Paper. 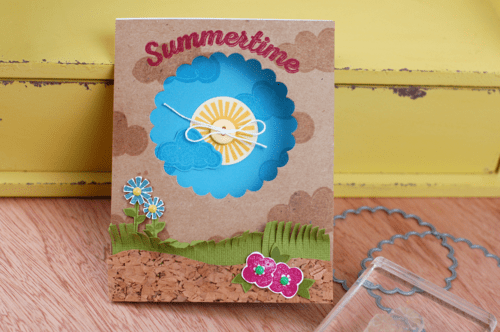 A scalloped die cut circle was used to make the window to view part of the inside of the card then stamped and die cut images were added inside and out to create the fun summer scenes. Click here to visit their blog and watch a video tutorial with all the details.